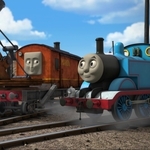 Thomas and Friends is an Animation programme and has been classified a U certificate. 0. Halloween; Trusty Rusty; You Can Do It, Toby! 0. 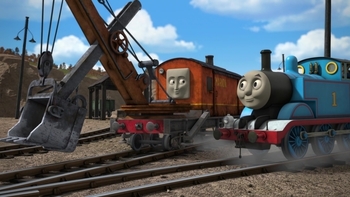 Percy and the Calliope; Happy Birthday Sir! 0. Percy and the Monster of Brendam; Flash Bang Wallop! 0. What's the Matter with Henry? 0. You Can Do it, Toby! 0. S8/E12 - You Can Do it, Toby! 0. S7/E6 - What's the Matter with Henry? 0. Ep 6 (374) Flash Bang Wallop! 0. Big World! Big Adventures!